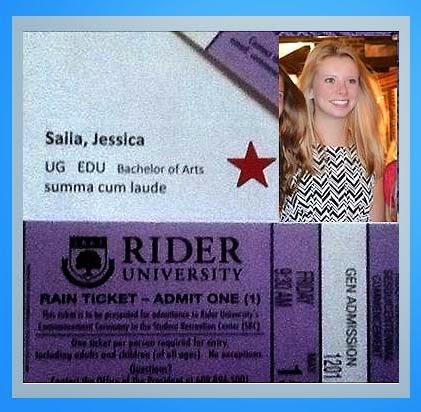 Congratulations to my lovely granddaughter, Jessica Saiia, Rider University Class of 2016. Your accomplishment was only exceeded by your hard work to earn such a distinguished honor, Jess. Love you deeply.